These ‘Behind the Magic’ clips demonstrates how the ILM artists layered together live-action and computer-generated elements to create over 1,800 separate visual effects shots Ron Howard needed for the film. Rob Bredow, Head of Industrial Light & Magic, was the Visual Effects Supervisor and Co-Producer on Solo: A Star Wars Story. He helped tell the story of the film, creating these grounded visuals with such a unique shooting style with the help of the 627 credited artists who worked on the project with him. So what are the odds of Solo: Star Wars Story winning? 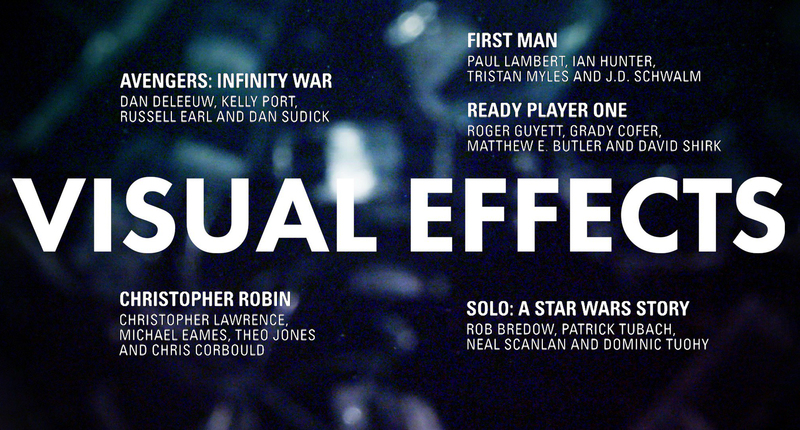 …As Han would say, ‘Never tell me the odds’ but seriously the odds for them winning the Best Visual Effects is actually not bad. With that said, they are up against a real heavyweight and Odds-On favourite, Avengers: Infinity War which has some pretty outstanding effects, so would you bet the Falcon in a game of Sabacc in Solo winning?